Happy Friday! Katie and Karoyln have some terrific inspiration for us today. Check it out! Karoly's Pixie Dust card is so sweet. 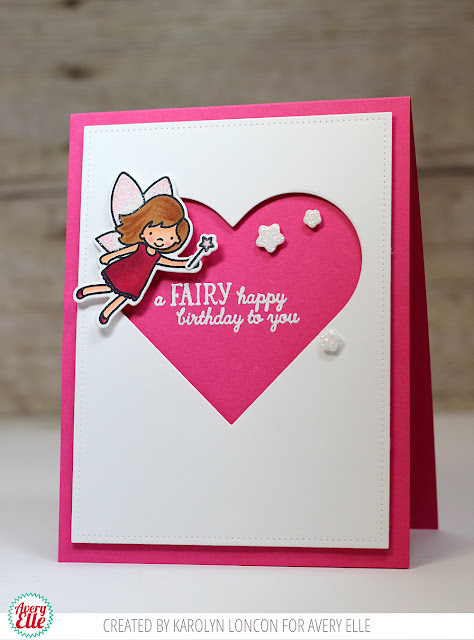 She used the negative image from the heart die cut and it is a great way to get more looks out of the dies that you have in your collection. The pink and white really work well together. I love it! 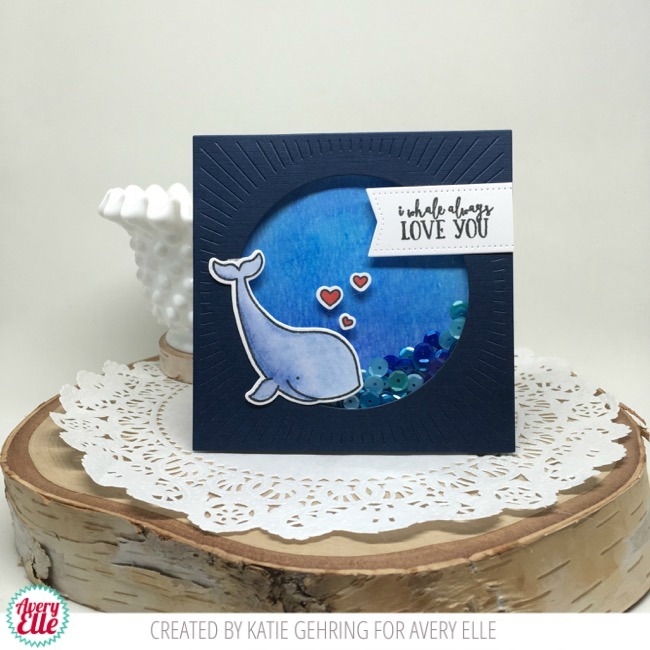 Katie created this fun shaker card. Check out how she shaded the inside of the shaker window a lighter blue than the card front to create a focal point! I love it. Thanks Katie and Karolyn for sharing with us today. I am so happy that I get to see your fabulous creations each week. Thank YOU for stopping by to take a peek. Have a great day! Both such fab cards, I LOVE the shaker card but i am a huge shaker fan. And that fairy !!! just too sweet.